Any form of displacement, ‘voluntary’ or ‘forced’, is costly: mentally, emotionally, financially and psychologically. In some cases, displacement involves the loss of human lives. The Home Office exacerbates the costs of displacement on migrants by operating a service charging regime that seems to deliberately and systematically ‘prey’ on migrants who make applications to the Home Office for various forms of leave to remain in the UK. Recently, Home Office service charges have come under scrutiny. MPs have described these charges as nothing short of ‘obscene’. A legal challenge is questioning fees for migrant children who are entitled to British citizenship. 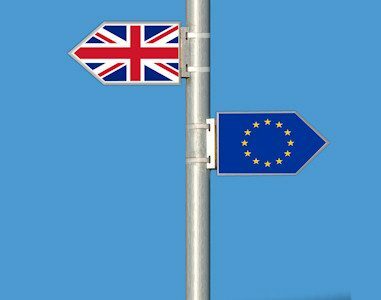 In the current Home Office charging regime, it would cost a migrant family of 4 (2 adults and 2 children) approximately £10.000.00 to obtain an indefinite leave to remain in the UK via the Settlement route – and this is excluding solicitors’ fees. That’s a daunting financial burden for any family in the UK; worse still, migrant families are more often disadvantaged in the UK job market and have limited access to wider, mainstream support. To the burden of price, we need to add the insult of non-refundable fees. Once paid, they are non-refundable, even in the event of a refusal. When considering that grounds for refusal include using the wrong application form, the corporate, punitive and inhumane trappings of Home Office service charging policy come into full view. As such, the policy can be interpreted to serve a dual purpose: it acts as a deterrent, and generates profit, as has been pointed out by others (up to 800% in some applications). 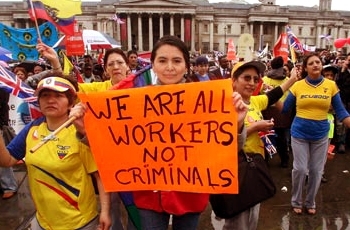 To meet the huge costs of Home Office applications, migrants are often forced into exploitative forms of employment, poorly paid and unsafe gigs which erode rights and dignity. Service charges thus become indirect instruments of labour exploitation. In other circumstances, people take out loans, seek assistance from friends, or deny themselves and their children basic necessities in order to pay Home Office fees, and later make up for financial short falls. These desperate funding strategies adopted by migrants to regularise and stabilise their lawful stay in the UK can weave a poverty web, from which it is often difficult to untangle. The long term implications on migrants’ life choices and outcomes can be dire. The Home Office’s policy on service charges is hard to rationalise, therefore undermining trust in the Home Office. There is real urgency now to review the current prices. The Home Office should demonstrate fairness, moving from hostile to ‘just and fair’ pricing of its services. Such an approach would help to alleviate poverty and exploitation, build trust and reduce the burden of displacement on migrants.